I've seen a lot of cupcake cakes, but this is my favorite one by far! 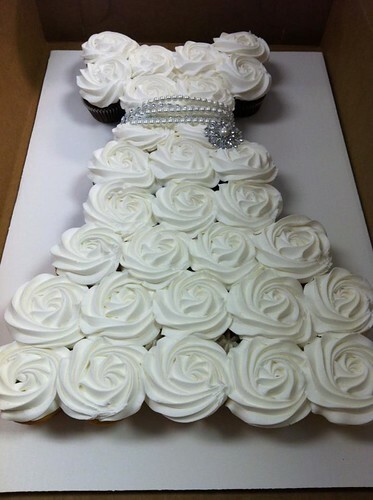 This wedding dress cupcake cake was designed by Frosted Bakery in Cortland, NY. That is so CUTE! would be great for a bridal shower!